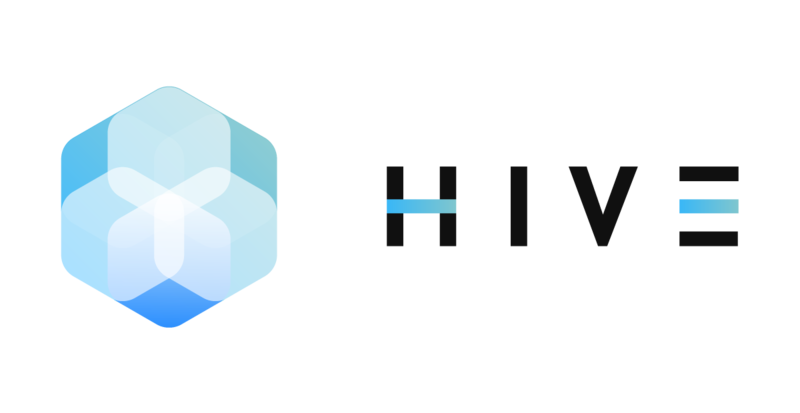 HIVE Blockchain Technologies Ltd. will list on the TSX Venture Exchange Monday, September 18th, under the symbol TSX.V: HIVE. The company is backed by Genesis Mining, the largest cloud Bitcoin miner in the world with 700,000 customers. Genesis owns 30% of HIVE. HIVE’s launch transaction involves the acquisition of an initial state-of-the-art blockchain infrastructure facility in Iceland from Genesis. The facility produces mined cryptocurrency around the clock like RIGHT NOW. This is one of the first (I think it is the first, but I could have missed something) real and legitimate pure play in the public markets for investors. So I expect it to be a big deal and get lots of attention. If you’re an investor that doesn’t buy Bitcoin or Ethereum directly, this could be a simple proxy—as I’ll explain below, while this company does have growing revenue and positive cash flow, I would expect the stock to trade closely with Ethereum. HIVE has an exclusive arrangement with Genesis to operate its data centres covered by a master service agreement. That’s a fancy way of saying that’s it baked in the cake that Genesis will hand off more data centres in the future to HIVE. 1. Genesis buys the gear and builds a Crypto-mining data centre. 2. The moment the servers are flipped on, the centre is mining crypto-coin. 3. The crytocoin is exchanged for US dollars (or stored). 4. The data centre can then be transferred to HIVE where the public markets will give the data centre a valuation X times cash flow proven by the number of coins it mines. 5. Genesis uses the money from public markets to buy more gear and builds more centres. To me this looks like the closest thing to a legal money-printing machine outside of the US Bureau of Engraving and Printing. EBITDA is an acronym—Earnings Before Interest, Taxes, Depreciation and Amortization—that basically means cash flow. EBITDA=cash flow, which is what most business valuations are based on now. The mining facility will probably (I’m guessing) be mining mostly Ethereum. That news release was issued in June so the $7 million shows what the centre would have mined hypothetically from June 2016 to June 2017. Earnings for the following twelve months will be much, much higher but take a guess as revenue from this company will be strongly correlated to the price of Ethereum. The Genesis Mining Group were much the original pioneers in mining Ethereum. Their first large-scale Bitcoin mining facility was built in 2014 using custom hardware. This was followed up in 2016 with the construction of the world’s largest Ether mining facility — specifically built to support the Ethereum Project at an early stage of its development. So they figured out a way to mine Ethereum for profit back in 2016 when it was under $15. Who knows how much money they have made this year. Genesis Mining (the private company) received $9,000,000 and 30% of HIVE stock for the data center, which was 67,975,428 shares. The shares are subject to escrow with a hold period of four months and one from September 13th. There was 100 million shares in the public shell, which is held almost entirely by management (see names below). These shares are released quarterly—25% will be free trading immediately, then another 25% in November, then Feb 2018 and May 2018. There was 55 million shares issued at 30 cents, which went to mostly Canadian institutions/fund managers. There was very strong demand here, as there is no real legitimate way to play crypto currency. They had to increase this financing to meet the Street’s strong demand. I think that bodes well for the stock trading tomorrow morning. This stock is not free trading until December. So the initial free trading amount of stock (called the “float”) that the public can buy is fairly small at 20 million or so. There will be 226,584,760 shares out total, and once you add in 22.6 million stock options and 700,000 warrants, there is a fully diluted 249,917,759 shares. I expect the stock to open between 60 cents – $1 on the first day. I will probably buy some more if that happens (I’m already long from when it was Leeta Gold Corp: TSXV:LTA. the original shell company). I will say again it’s the first cryptocurrency miner to trade in the public markets (that I see) meaning there will be HUGE interest in the stock and not just from buyers. As I wrote in an earlier post the cryptocurrency mining industry is currently a $7 billion a year industry and growing 100% year-over-year. Until now, all the miners have been private, meaning NOBODY outside the owners have known just how the financial end of the business operates. You can bet that every quarterly filing that HIVE puts out, every North America analyst study it like it’s the Bible. One confident prediction I will make is that you won’t see positive net revenue anytime, every little bit of cryptocurrency mined will be plowed right back into the business. HIVE will be adding more hash power (think computing power; CPU power) as soon as they can find room for new servers. The management team and directors that is running HIVE is impressive (almost a complete opposite of some ICOs that I have looked at). HIVE is the result of a partnership between Hong Kong-based Genesis Mining and Vancouver-based Fiore Group, which is headed by Frank Giustra aka the founder of Lionsgate Entertainment, NYSE: LGF.A. Other members on the board include Harry Pokrandt, Frank Holmes (CEO of US Global out of Texas), and Olivier Roussy Newton. All of these guys pass the Google and LInkedin test with flying colours (I particularly recommend Olivier’s twitter feed). THIS IS GOING TO BE INTERESTING IN SO MANY WAYS. There has been no way for investors to get exposure to crypto directly other than through initial coin offerings (ICOs), which have had poor disclosure and vague use of proceeds. ICOs may not be shady, but they’re not transparent like they were being closely watched by the SEC…which HIVE will be, being a public company in cryptocurrency. In conclusion, HIVE has been gifted a solid business with revenue flowing from day one from a market leader in an industry that has seen hyper-growth in 2017 and looks set for the next decade. Even Jamie Dimon would like this deal. So I think the business is going to do well, given the management team’s intimate knowledge of the business partnering up with one of the top junior finance teams in North America. And you can be sure I’ll be keeping everybody updated on how they’re doing. If it opens up under 80 cents, I am probably a buyer. There are very few quality ways for investors to play the crypto space in the public markets, and I think this company will attract a lot of attention in its first few months. It will have a honeymoon for at least a couple quarters. Please note I own shares in HIVE.